In the previous post, I mentioned that I will elaborate more on the dinner session at the Nagoya Japanese Restaurant. 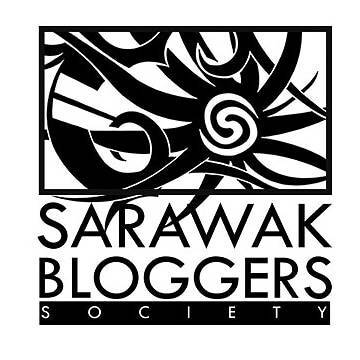 Again, thanks to the Sarawak Bloggers and the Batik Boutique Hotel for this priceless experience. A little facts about Nagoya Japanese Restaurant, this restaurant only starts operating about 2 months and it replaces the previous restaurant, The Bites. The owner of this restaurant, known as Max is also the owner of the Oishi Japanese Restaurant at 4½ miles road. The restaurant operates from 12pm till midnight (more or less). The opening of Nagoya Japanese Restaurant aims to add for more places to eat and hangout for Japanese food lovers. I’m a Japanese food lover, but if you ask me what kind of Japanese food that are displayed on the menu or on the table, I might can name only 1 or 2 of them. Well, for our dinner that night we were served with a full course Japanese dishes. Full course means there are appetizer, main course and dessert. Japanese salad for appetizer? Read more. Actually, I have never had a full course Japanese meal before. So, I’m not really sure if they do have salad. Anyway, this is called ‘Tatami Iwashi’. It is a salad with Dried Sardine cutlets served with cabbage, some Salmon roe and homemade sauce. Not my favourite, but something to look forward to try at home. This second dish is a special one. I have never tasted a Deep Fried Salmon Skin before, but it surely taste delicious. The previous Japanese restaurant that I went served us with Deep Fried Shell-less Crab. That made this second dish is my favourite snack. PUFFER FISH?! Yes, the one with neurotoxin that can paralyze you and slowly kills you. Fret not everyone, nobody was hospitalized due to food poisoning that evening. Thanks to the expertise of the Chef, we did enjoy the meal. Do you want to know how that fried pufferfish taste like? It reminds me of the taste of a ‘bak kwa’ (dried barbeque pork) and the Pickled Garlic tastes like a Stewed Groundnut. By far this is everybody’s favourite. The chicken was nicely fried and still juicy while the sauce topped up the sensational taste of the meal. Not super amazing, but this was nicely done. This is something new for me. I don’t know what it is called is Japanese, but knowing their foods are very seafood related, this Cheese & Mayonnaise Scallop is quickly climbing my favourite list. Although, if you like seafood so much, the cheese and mayonnaise will overpower the scallops’ taste and you might not like it. As for me, I like it however they cooked it. This is what everybody is waiting for, the Sushi platter. Every time we heard or went for Japanese food, all we know is to eat sushi. That evening, we were served with the all-time-classics, the Sake (Salmon Sushi), Masago (California Rolls) and Tamago Tempura Maki. Taste wise, I’d say I’ve had some better ones, but I’ll put these as average. I’m guessing because it was done in a rush, I could be better. This was my first time I had a tasty unagi fried rice. I love fried rice. I had tasted other unagi fried rice before and perhaps have experimented or attempted to cook it myself, but this one still on the top of my list so far. As the dessert, we were served with a mix fruit plate and out of all the fruit cuts, I’ll take the Dragon Fruit anytime. Before we really ended our meal, Max presents us all their homemade gelatos. I can’t remember all their flavours but I’m pretty sure there are Teh Tarik, Mint Chip, Oreo, Green Tea, Chocolate and Sesame Seeds. Of course my favourite is the Green Tea. If you are looking for a fancy high grade Japanese restaurant with extravaganza jaw dropping menu and flying Chefs, I’d say this is not one of them. Consider Nagoya as one of those everyday kopitiam that you always go after work hours to have your glass of beer and a quick dinner or a few plate of snacks before you go home or just to hangout with few friends. That is what Nagoya is all about. The service is average, the menu are average but definitely one of a kind. However, if you are looking for an adventurous Japanese menu or would like them to surprise you with a customized Japanese menu, you are looking at the right place. As them to prepare a Fugu fish meal, you’ll get what you asked. As long as you can still manage yourself home…or taken away into realm of amazement.